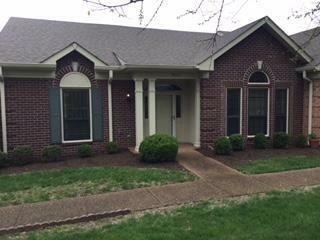 8072 Sunrise Cir, Franklin, TN 37067 (MLS #1917893) :: Maples Realty and Auction Co.
Coming soon! Spacious 3BD/2BA condo in highly regarded Morningside, a 55+ community. Upstairs bonus room, large eat in kitchen, dining room, fireplace in den, fenced patio, 2 car covered parking, large storage room. Showings begin on Monday, April 16th. Be the first in line to purchase this great unit.